Renitta Shannon defeated a four-term conservative Democrat incumbent with a bold progressive message in 2016. In January 2017, she was sworn into the Georgia State House of Representatives, representing the 84th district. Representative Shannon utilizes her impactful public platform to fight stigmas and create legislation for marginalized communities. 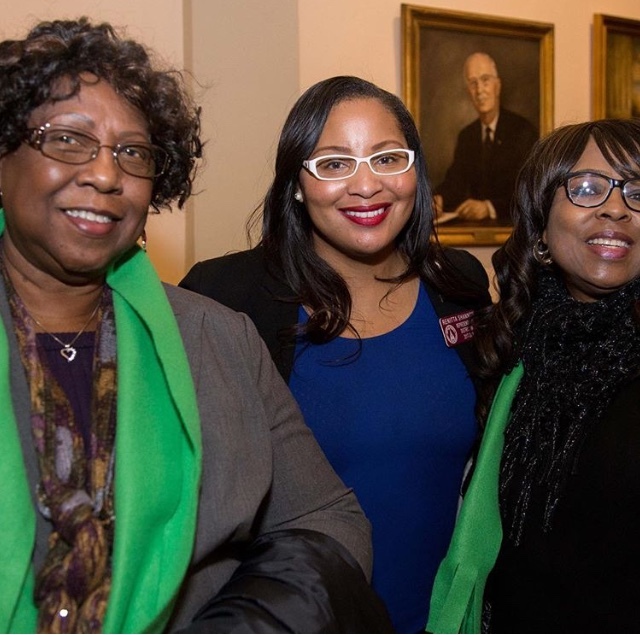 Her experience in community organizing work around economic, racial, and gender justice equipped her to serve in the Georgia State House of Representatives. Renitta comes from humble backgrounds, she was raised by two very hard working and often times minimum wage earning parents. This taught Renitta the importance of having access to economic opportunity and jobs that work for employees as well as employers. Her upbringing encouraged her determination to work hard and succeed. Renitta worked as a server, earned scholarships, took out student loans, and with the help of her parents graduated from the University of Florida. At 22, Renitta faced a silent crossroads that so many women are forced to face without support: abortion. Committed to ensuring that others have the infrastructure and guidance they need, Renitta speaks on national platforms, such as SiX and the Center for Reproductive Rights, about her personal abortion story and the importance of abortion rights. Renitta has been a consistent advocate for LGBTQ+ rights and in 2017 she came out as bisexual, making her the first bi-sexual legislator to serve in the Georgia General Assembly. In her first year as a legislator, Renitta was awarded as one of the Most Valuable Legislators in “The Nation Magazine’s 2017 Progressive Honor Roll”, for her work on sexual assault policy. Renitta continues to engage in critical conversations on topics of justice. In mid-2018, Renitta was the keynote speaker at the Center for Reproductive Rights conference, where she discussed “Why Advancing Respectability Politics Hurts the Fight for Reproductive Rights”. She was also a part of the “Making Change at Walmart” tour, speaking about economic justice issues for workers. Renitta published a piece in The Brown Girl’s Guide to politics during pride month on “Why it Matters to Elect Queer Black Women to Public Office”. She has spoken at the largest progressive conference in the country, Netroots Nation, National UFCW Union Conference, and NOW’s (National Organization for Women) national conference about strategies and roadmaps for progressive victories across the nation. 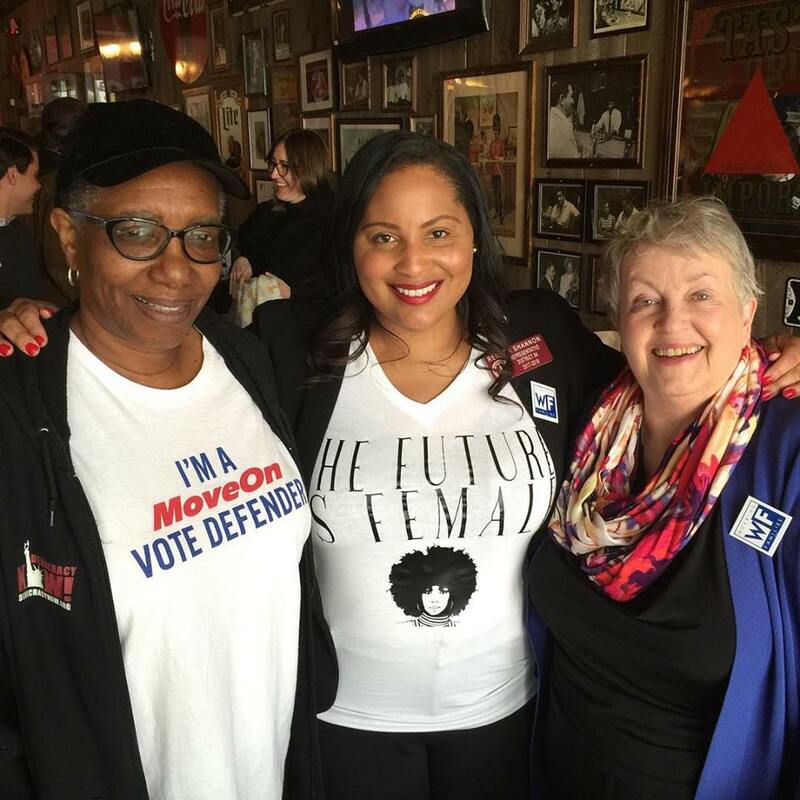 Renitta is also the co-founder of Her Term, a Georgia-based initiative committed to targeting, recruiting, and electing progressive women into office. Her work has been featured in TIME Magazine, Cosmo and Elite Daily and continues to maintain her as a highly sought after public speaker on equality and reproductive rights and justice.